To get into the Halloween mood in a retro stylee I will be taking a look at a few different arcade games that are absolutely apt for the spookiest of holidays. 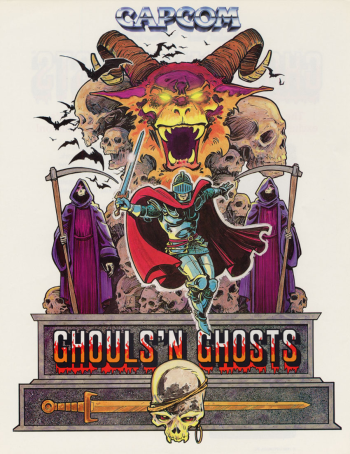 Next up then it is the classic CapCom arcade game 'Ghouls n Ghosts' which is the follow up to the classic 'Ghosts N Goblins' which was released back in 1985. As far as horizontal scrolling games go the original game was up there with the best of them, and this sequel from 1988 was a very worthy follow up in the series. Like it's predecessor this game ended up being ported to several platforms and home video gaming consoles of the era. 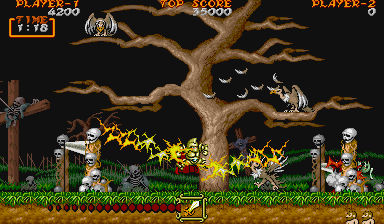 The gameplay for Ghouls 'n Ghosts is very similar to 1985's Ghosts 'n Goblins. 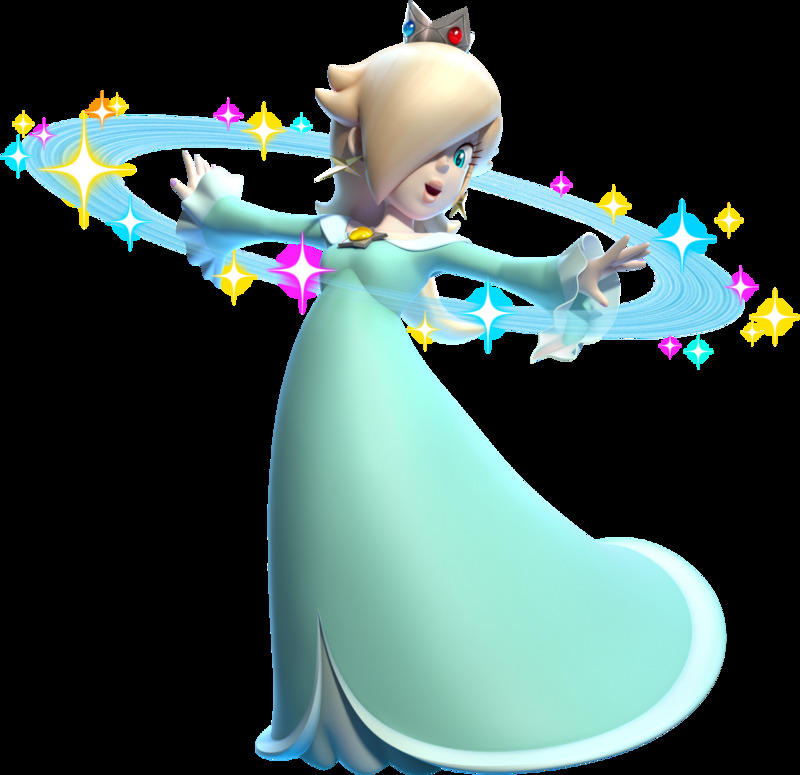 To make it personal our hero's one true love, Princess Prin Prin has also been affected by evil. Our Arthur (bold knight that he is) sets off to rescue her at all costs! In classic arcade game style there were a variety of weapons to pick up as you played through the horizontally scrolling levels. While the core gameplay and mechanics remained the same as the first game, this game also allowed Arthur to fire directly upwards and directly downwards whilst in mid air which tempered the difficulty a little. Treasure chests could be revealed by jumping in certain spots which could release either some well deserved goodies, or a not so good wizard who would transform the player into a duck or an elderly gentleman. 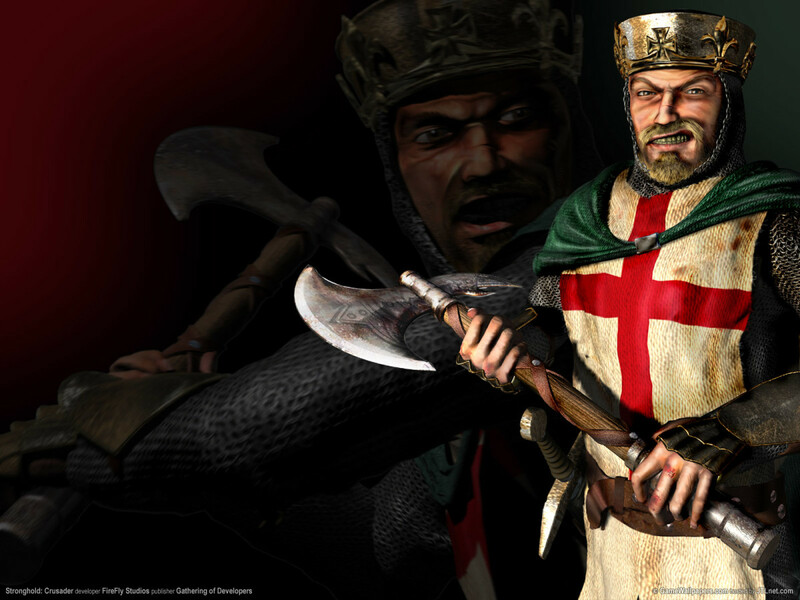 If you were lucky you would be rewarded with golden armour and a more powerful melee weapon (such as a lance, axe or sword). The gold armour allowed you to charge up the weapon to release a powerful magical attack. Each weapon was blessed with its own unique 'special attack'. All in all there were five levels plus Lucifer's chamber as the final level to beat. 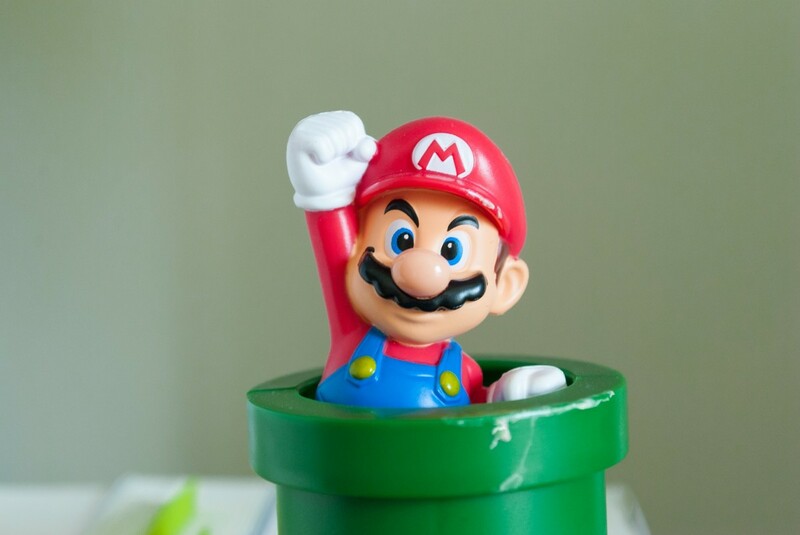 To win the game you had to complete level one to five twice. Upon completing level's one through five the first time, Arthur was taken back to the first level again with a special weapon making an appearance. To enter Lucifer's chamber the player had to have this special weapon equipped. 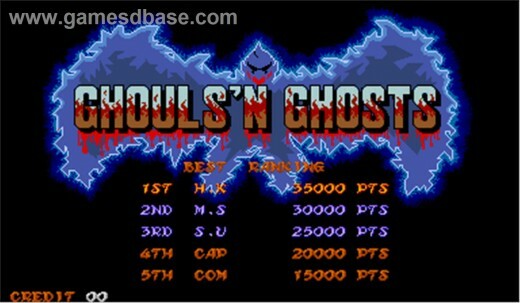 As I mentioned when looking at Ghosts n Goblins, the difficulty level of these games was high. Spookily high in fact. Just like the first game in the series this one is considered very difficult by arcade standards. I would say that the sequel was slightly less difficult than the first game; but it remains a long way from being a cakewalk. One aspect that carried over from the first game was the fact that you could only be hit twice before losing a life (the first hit removed Arthur's armour, and in a humorous twist the player was forced to continue in his underwear until completing the level, or finding a new suit of armour). If a life was lost it was back to the beginning of the current level or the halfway point if you have made it that far. Furthermore, the game was played against the ticking clock. The clock was reset at the start of each level and, as you would expect, If the clock ran down then you instantly lost a life. If all of that was not scary enough you had to ensure that you were carrying the magic fireball weapon (granted to you by a mystical valkyrie) if you made it all the way to the final boss. This game ended up being almost as popular as it's predecessor. 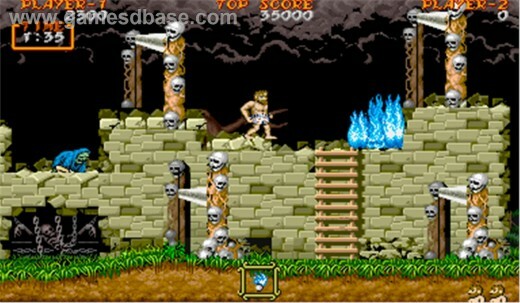 Just like the first game it unsurprisingly ended up being ported to numerous home computers and consoles of the era such as the ZX Spectrum,Commodore 64, Amstrad CPC, Atari ST and Commodore Amiga. To be fair some of the home ports were pretty well done (I was a huge fan of the ZX Spectrum and C64 versions) with respective magazines such as Crash and ZZap 64 singing it's praises. Unfortunately the Amiga version never managed to recreate the spooky soundtrack and atmosphere of the arcade original and was generally regarded as a sub-par conversion. Poor and lazy arcade conversions were the bane of many gamers during the 1980's, and as far as the Amiga goes this was a particularly bad offender. The Amstrad CPC version was a little strange in the fact that it used a flick-scroll method to reveal the level to you rather than the traditional rolling scroll. In my opinion this version suffers for it but it is not as poor as the Amiga version when you consider the capabilities of the 16-bit machine. Games to make you laugh!